The Rochester Rowing Club’s adult program is for rowers of all athletic backgrounds and ages. During the rowing season (from the second week in April to the end of October), adults who have on-the-water experience meet two evenings a week at 6:00pm (depending on schedules) while Saturday times remain flexible depending on the needs of the group, but will generally be Saturday mornings. Coached sessions will occur once a week. In addition, experienced rowers may arrange to meet at other times when schedules permit. For your safety, the club requires adults to carry life jackets in their shells at all times. When rowing with RRC equipment, at least two rowers should be on the water at all times and within sight of each other. In the winter, the adult team trains twice a week at 125 LIVE. Email Coach with any questions by clicking HERE. Winter Training begins in November and runs through March. Practices will are at 7 pm on Tuesday and Thursday evenings at our new venue, 125 Live. Additionally, the adult program has optional training Saturday mornings at 7am. New to rowing? Check here to learn more about the sport! 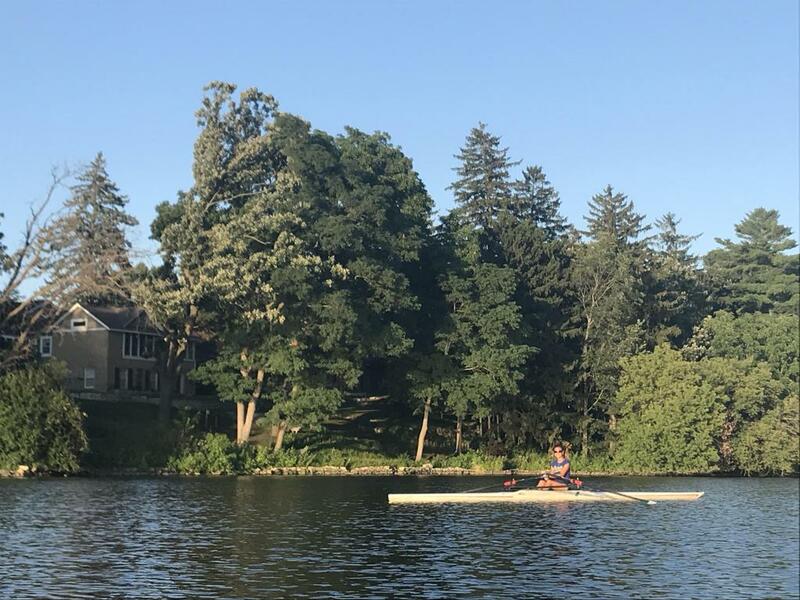 Rochester Rowing Club was founded in 1990 to bring people together to enjoy the sport of rowing. RRC is located on the west side of Silver Lake, near downtown Rochester, Minnesota.